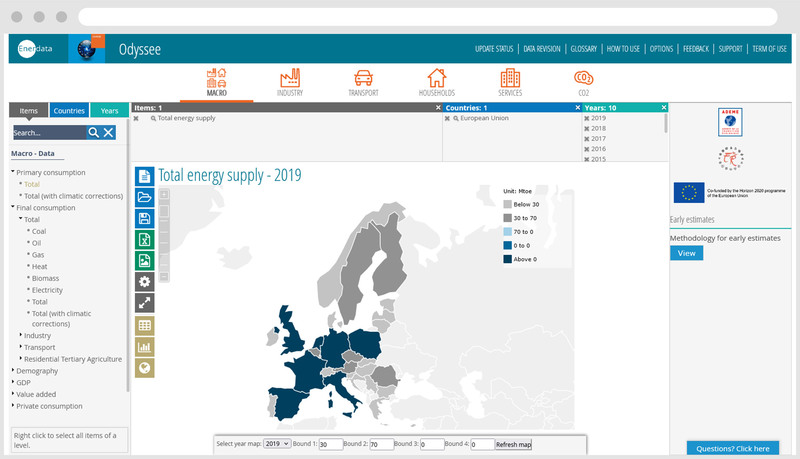 For nearly two decades, Enerdata has been the technical coordinator of the Odyssee Project, aimed at benchmarking the energy efficiency performance of EU member countries. 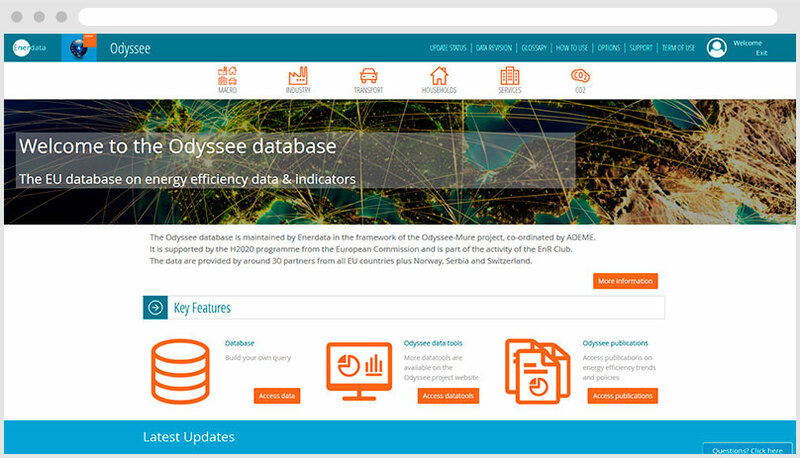 Odyssee provides unique energy efficiency indicators as well as detailed energy consumption data by end use through the industry, residential, transport and services sectors, as well as underlying drivers. What is the energy consumption by end-uses (space heating, lighting, electricity appliances, etc.) of households in a given country? What is the vehicle stock? 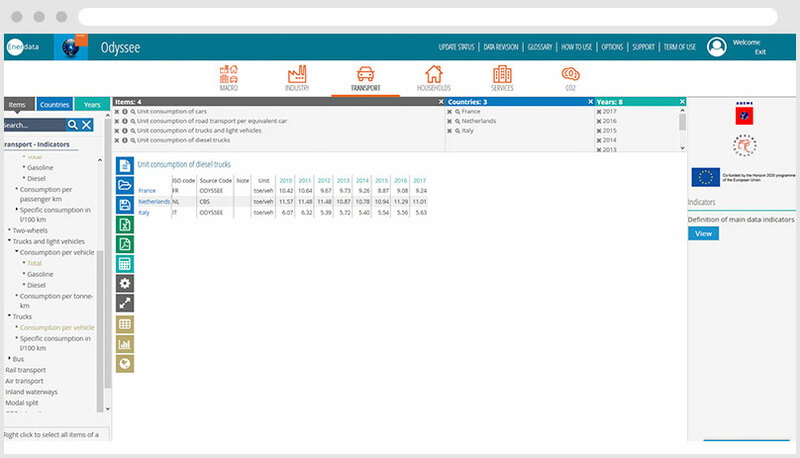 What are the energy savings of a specific sector? 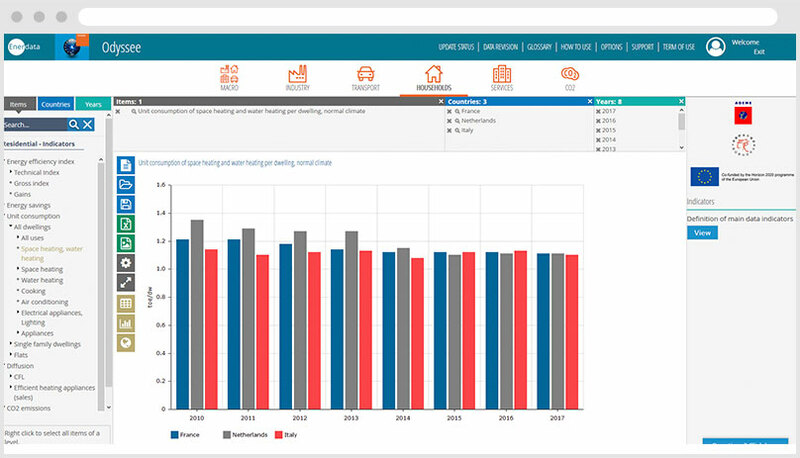 A new online interface has been developed to enhance data query and analysis, providing an easier and more friendly data tool enabling advanced analysis.